The Marvel Cinematic Universe is so often championed for its diversity and representation in front of the camera – particularly after the release and subsequent success of Black Panther. But behind the lens, it’s a somewhat different story. As a matter of fact, aside from Captain Marvel co-director Anna Boden, the MCU is a hard-wired, male-dominated movie machine capable of pumping out three films per annum – as is the case in 2018, what with Infinity War and Ant-Man and the Wasp set to follow Panther – though seasoned Marvel producer Victoria Alonso hopes to see more women directors in Phase 4 and beyond. Granted, as Alonso tells The Hollywood Reporter, she believes this ought to be treated on a case-by-case basis, and that diversity for diversity’s sake will only do more harm than good. Soon, I hope. Here’s the thing: We want the best person for the job. I don’t think it’s fair to the movie to say, ‘This has to be directed by a man,’ or ‘That has to be directed by a woman.’ I think it has to be a conscious search for the best human — and hopefully the best human, as we continue to fill out our slate, is half and half. Couple this with the rumored uptick in female-fronted spinoff movies (Black Widow! Valkyrie! Scarlet Witch!) 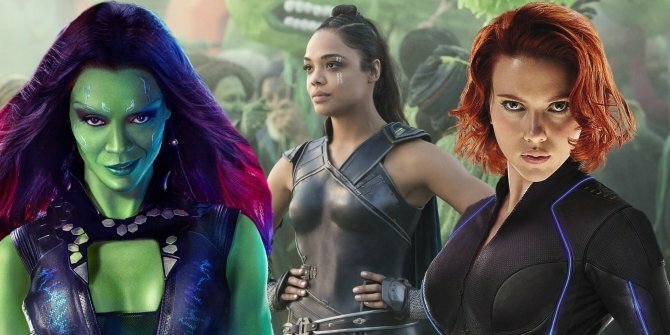 and one would hope that Marvel plans to pair its leading ladies with some of the best female directors in the business.